While Tor Gaming still has their C'thu Kickstarter campaign going, that doesn't mean they're not busy working on the other factions for Relics. Quite the contrary, indeed. While the campaign goes on, they also have new pre-orders for a pair of the existing Relics factions. And here we see that the new releases aren't just for the other new faction for Relics (the Ridend), but we've also got something for one of the original Relics factions (Britanan). 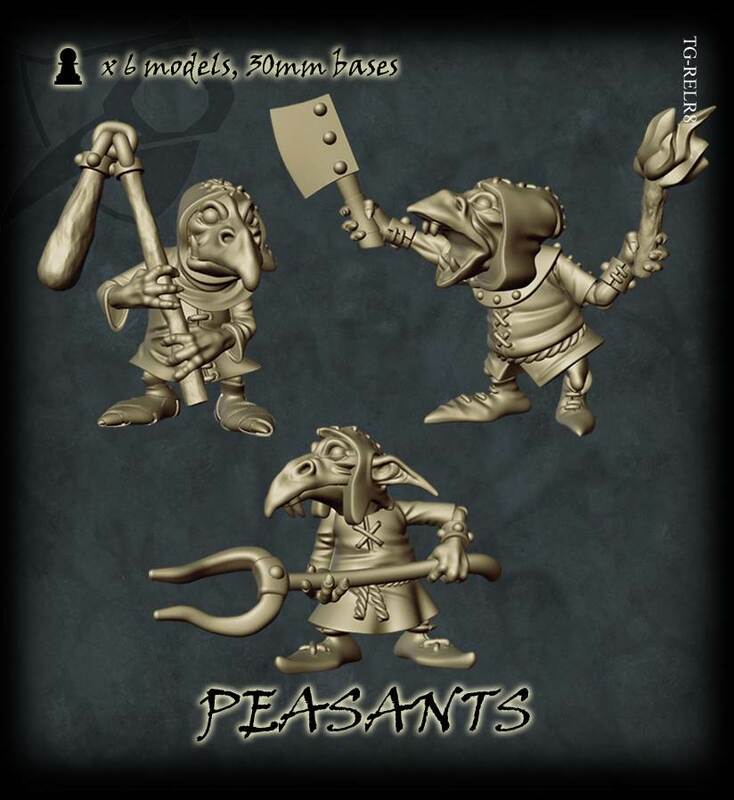 For the Ridend, they're getting new Peasants, a great way to bulk up your forces. 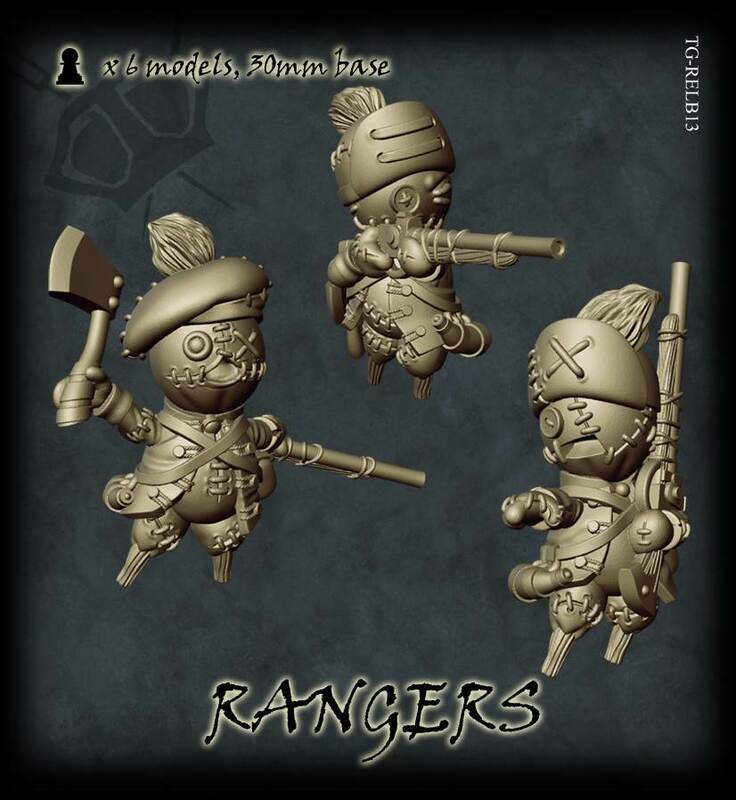 Meanwhile, the Britanan are getting a set of Rangers, which are pretty much at the opposite end of the "combat capability" scale than peasants. Also of note is that during this pre-order period, you can get 10% off these model kits in the Tor Gaming webshop.